I must be the only person not overwhelmed by this lineup. Honestly, I put that down to me not reading any X-Factor stuff so not having an attachment to the characters. I will be getting these either way. Kinda bugs me that no Iceman to round out that side of the team. Its got to be a long time since that figure was released an ppl may have to pay a premium to finish off a team again. 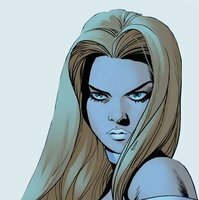 It actually made me think back to as I vaguely remember the Silverage Angel/X-factor Angel mix up that ppl where not happy with. I can see how people may be annoyed with the lack of Iceman but it's been a while since we got an Archangel and Beast that match this era as well.Maybe SDCC will be the ultimate surprise with a 90's box set that includes an Iceman, Warpath, Sunspot and Boomer. I would strongly recommend you read the Peter David Visionaries collection (you can even find it on the comics apps online) there is some amazing work on that series. I celebrated by watching Cold Comfort from X-Men TAS whilst drinking coffee. I do hope that the Gudio head comes in the same pack as the the Multiple Man figure as I have a few plans for him! Also, we are so close to an Inferno complete saga! Interests:Comic Books, Movies, minimates and action figures alike. Madrox does not come with Wolfsbane. I forget who, but we paired up the two teams 1 and 1. I just displayed them together. Sweet! That sounds really cool. 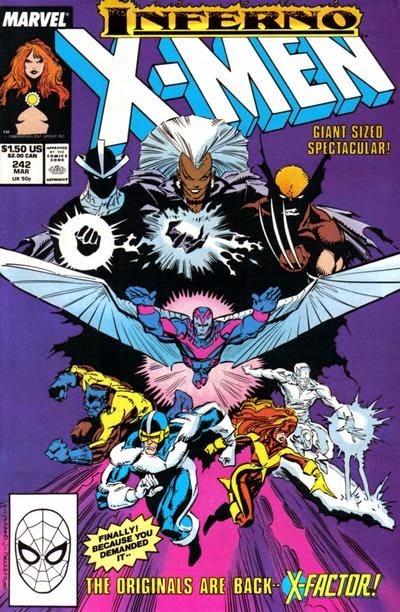 I'm not too disappointed in Iceman not being in the lineup because I figure the original X-Men are just there to pad out the lineup. I do think we're more than due for an Iceman that would go with the 90s X-Men that isn't 15 years old. Also, if all the accessories are shown in that picture it would mean no extra heads for Madrox. That would be disappointing. When will we get better pics? Since some of us will be getting duplicate Maddrox packs for this wave... Was there any other characters that wore these outfits for customs? I'm pretty sure there outfits were unique to this X-factor team correct? Also Havok's jacket and legs are fantastic for a (long-overdue) Nate Grey. 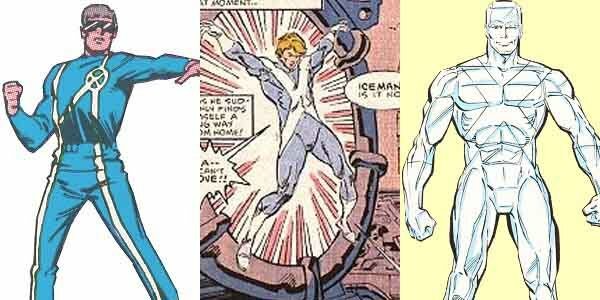 Iceman really didn't change from XFactor 1.0 to 1.1, like the others did. And he was packed with his power dampening belt last time. Will Warren come with a death mask? AGREED! there are a couple alt heads that could be used in this series. I wonder though who is getting paired with who. like Maybe Jean with Rahne but with the Guido chest block means that those two figures will have less accessories? I still wish we were getting a Baby Cable for this Also looks like the Beast hands are a new version of the big blue arms. Not sure how I feel about that yet. What did Bobby’s costume look like when he was powered down? The one in the middle. And Rusty - he was in the book from #1! 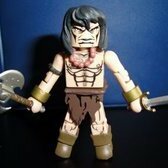 Interests:I really enjoy Marvel minimates! My favorite heroes are Captain America and Hawkeye. Bullseye is my favorite villain. I actually didn't read any of the X-Factor stuff either, but I really like the design of the team. I'm mostly excited for Havok and having a few Multiple... Er... Mans? Multiple Men? Having a few James Madroxes. Someone already posed the question if Madrox would have alternate heads but I'm surprised nobody else seems to have raised the question of whether he will have un-jacketed arms. Location:I'll go with Liverpool most ppl know where that is. Nothing jumps out at me to go wow fantastic on any of the stuff. 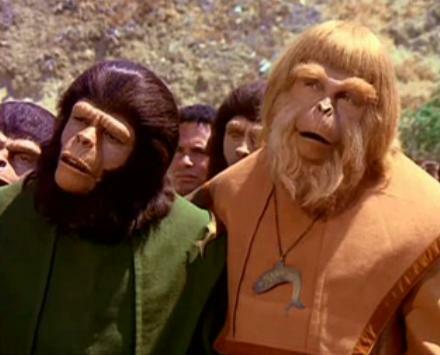 For some reason, I look at that and see Planet of the Apes faces. Good point, he was often without the trench coat. I'm afraid the build-a-minimate makes it less likely. I hope he comes with unjacketed arms, too. Unjacketed would also add extra versatility with army building. I remember sometimes seeing him with dupes and there would be an odd one or two who weren't wearing jackets like the rest. This is no place for loafers. 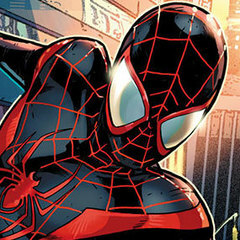 Looks like our first full look at the spider slayer and it confirmed what I though, he's got omega red gloves, does that mean he's going to have tentacles?